But Inuit leaders say it fails to include enough infrastructure investment for the North. The federal government said Tuesday it will deliver on a pledge to help open a new, long-awaited addictions treatment facility in Nunavut. 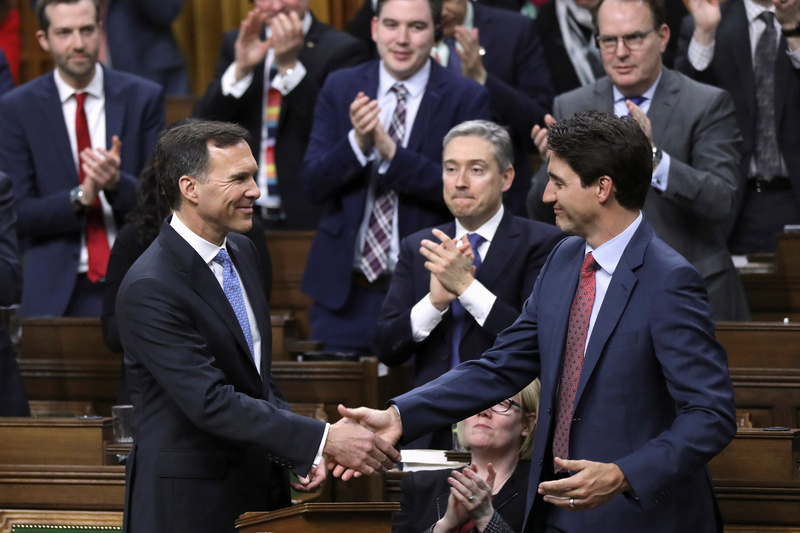 That news came in the federal government’s 2019-20 budget, tabled Tuesday afternoon, though it came as a commitment with no dollar figure attached. “Together with contributions from the Government of Nunavut and Inuit partners, as part of budget 2019, the government announces its commitment to support the construction and ongoing operation of a treatment facility in Nunavut,” federal Finance Minister Bill Morneau announced March 19. In separate releases, the Government of Nunavut, Nunavut Tunngavik Inc. and Nunavut MP Hunter Tootoo each said they were “pleased” to see federal support for one of the territory’s most anticipated projects. The Nunavut Recovery Centre, which will be built in Iqaluit, is expected to cost about $73 million to construct and open, and the GN has already approached Ottawa to fund roughly half of that. While there remains uncertainty over when Nunavut can expect that financial support, the federal government dedicated a section of its budget to other Inuit-specific initiatives related to health, education and language. The budget provides $220 million over five years to improve health and social services to Inuit children. That money is indirectly linked to Ottawa’s efforts to create an Inuit equivalent to Jordan’s Principle — a new policy that ensures Inuit children have equitable access to health and other public services, regardless of where they live. Inuit Tapiriit Kanatami, which released its National Inuit Suicide Prevention Strategy in 2016, will receive $50 million over the next 10 years to continue to implement that plan across Inuit Nunangat. Other Inuit priorities include $125 million over 10 years announced for an Inuit-led post-secondary education strategy and $333.7 million over five years to preserve and promote Indigenous languages, including Inuktitut and Inuvialuktun. Though there were few details about the scope of the post-secondary education strategy, Nunavut Tunngavik Inc. said investment stems from Ottawa’s commitments towards Inuit employment and the full implementation of Article 23 in the Nunavut Agreement. “I applaud the continued Inuit-specific investments,” said NTI president Aluki Kotierk in a release. Aside from a few budget items, northern governments and Inuit groups had a largely lukewarm response to the overall budget. Nunavut’s leadership also decried the lack of new money for housing: the territory is still working its way through the $240 million — spread out over 10 years — that Ottawa announced for housing in 2017. “We were expecting more around housing and telecommunications, especially given our longstanding infrastructure deficit,” said Nunavut Finance Minister George Hickes. Read the complete budget here.